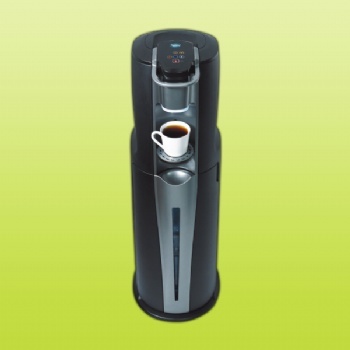 TPR-WD02A 3 in 1 Coffee RO water Dispenser - Toppuror International Company Ltd. In order to meet the competitive market and demand, we hope that our customers can get competitive prices and differentiated products, so our company policy is continuously innovated to ensure our customers will also be in the leading position in your territories. Toppuror company lately has successfully launched the 3-in-1 coffee making dispenser with streamlined design, there are 3 functions: ice water / hot water / coffee. 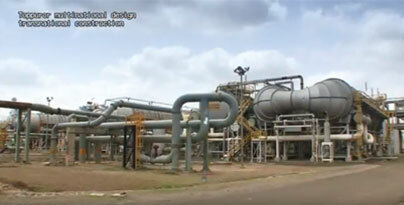 Customs can choose the built-in with RO, 3 stage of UF filtration or bottled water system. 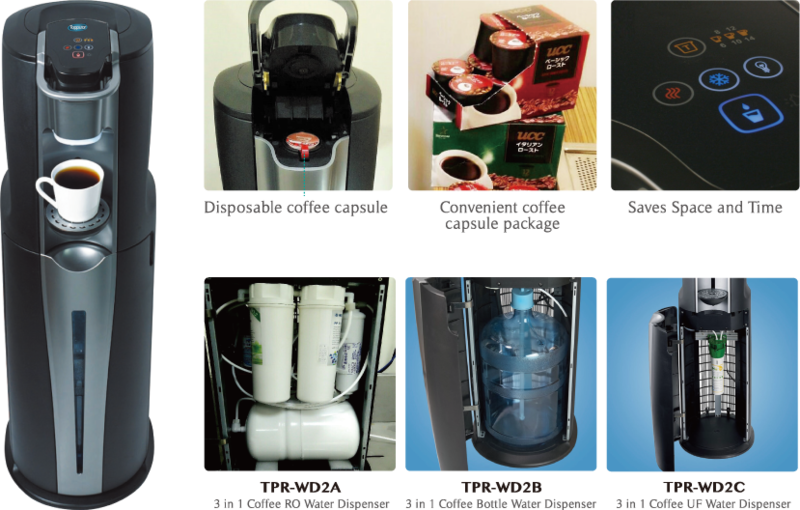 Café is disposable capsule and this is the newest multi-functional dispenser system in the market. In addition to disposable capsules coffee, Toppuror also have Biotechnology R & D team to cooperate with Taiwan Institute of Economic Research. Now we have successfully developed various types of drinks (for example: oolong tea, black tea, green tea, herbal tea and etc...), also health supplement drink, liver detox tea and several kinds of drinks. It also can be developed per customer needs to do your drink for each country. 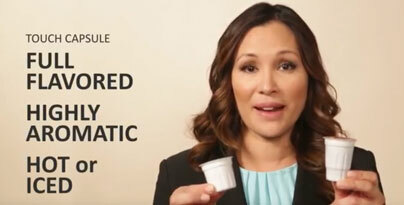 To use disposable capsule for a cup of drink is only take 45 seconds, it’s not only saving your valuable time but also can save drinks expenses. Capsule drinks can be concentrated the most taste and flavor, by the way, there are five size of cups to choose, so you don’t have to worry about too strong or too light taste. Toppuror invests two molds to support the production in China and Taiwan and coordinates and do adjustment according to customer’s purchase quantity. We ship the full container order directly from China factory to the destination that customer indicate, and if bulk cargo, we ship from Taiwan. The price difference will be directed feedback to customers to ensure that customers have the most competitive prices.